Last year, one player got the transition tag: Dolphins tight end Charles Clay, who ended up signing an offer sheet with the Bills that the Dolphins declined to match. When a transition tagged player switches teams, the original team does not get draft pick compensation. If they are saving the Franchise tag for someone else, this is a good idea. If they are not planning on using the Franchise tag on someone else, this a dumb move to save just 2 mil. Spend some of that money you just gained in franchise value. Isn't that the reason for moving to LA? All another team has to do is include a poison pill in the contract that prevents the RAMS from matching, and then we lose TJ. Dumb move, just plain dumb move. "No Offer Sheet may contain a Principal Term that would create rights or obligations for the Old Club that differ in any way (including but not limited to the amount of compensation that would be paid, the circumstances in which compensation would be guaranteed, or the circumstances in which other contractual rights would or would not vest) from the rights or obligations that such Principal Term would create for the Club extending the Offer Sheet (i.e., no 'poison pills')." TJ has GOT to remain a Ram! I think he will be improving / should be improving over his already above-average talent rating. Tagging Johnson would sure put a snag in the Migos "package deal" plan. The Franchise and Transition tags are mutually exclusive. Meaning, if a team uses a transition tag, they LOSE their franchise tag... and vice versa. Just thought I'd clarify that before people derail this thread into who to transition and who to franchise this year. I thought that was changed a few years ago, and a team could use both. If it is a 'one-or-the-other', then Stan needs to let loose some of that $2 B he earned changing the name of his team from St. Louis to Los Angeles. $2 M is chump change to him, and it is worth making sure you don't lose one of the best CBs in the league. Wasn't the added value of the team moving supposed to make it better for keeping and signing the 'best players'? Heard earlier this offseason that team might place transition tag on CB Trumaine Johnson if unable to get long-term deal. JT made this statement before they cleared that cap space, so I agree having the cap space in place sign him. In the years before the transition tag did not become fully guaranteed upon signing, it made some sense to use it. And multiple teams did. Since the transition tag became fully guaranteed as part of the 2006 CBA extension, it has been used more sparingly. The reason is simple. To use the transition tag, a significant investment on a one-year guaranteed deal is required, and if the player signs an offer sheet elsewhere that isnt matched, theres no compensation. By kicking in a little more on a one-year deal, the current team gets two first-round picks if the player leaves  which means for most players that he wont be leaving. But teams still use it, even though the end result in recent years hasnt been great. When the Browns applied it to center Alex Mack, Mack finagled an offer sheet from the Jaguars with a provision allowing him to void the deal after two years. Now, two years later, the Browns have to worry about whether Mack will leave, along with what it may take to keep him to stay. Last year, the Dolphins used the transition tag on tight end Charles Clay, who was gobbled up by a division rival with an offer sheet Miami wouldnt match. In both cases, another million or two on a one-year franchise tender would have kept that from happening. So why do teams keep using the transition tag? Some may be doing it just to see what the players value is, knowing that if its too high theyll let him walk. Others possibly dont want the franchise tender to lay the foundation for a long-term deal. Regardless, if anyone gets the transition tag this year (the Rams have leaked that theyre considering it with cornerback Trumaine Johnson), theres no reason to think the outcome will be any different than what has happened the last two years. Either Johnson will get an offer sheet the Rams cant or wont match, or hell get an offer sheet with a legitimate poison pill embedded in it. Whatever happens, dont expect Johnson to adopt the same approach as former Steelers tackle Max Starks. When Pittsburgh applied the transition tag to Starks in 2008  and once he realized the salary became fully guaranteed when the tender is accepted  Starks signed it. Johnson, per a league source, wont be signing the transition tender, if its applied. Instead, hell be doing exactly what Mack did in 2014 and what Clay did in 2015: Looking aggressively for an offer from another team. I tend to agree with others. While the old school poison pill is no longer an issue, including an option of some sort that the Rams may not want could be a possibility. Spend another couple million, apply the franchise tag if need be, then work to get a long term deal done. Today is the deadline for franchise players to sign long-term extensions. If they don't, they will play the season under the tag and be eligible for free agency in 2017. There seems to be no indication as of the time of this posting that Johnson is poised to sign any extension with the Rams. The Rams made it clear weeks ago that they weren’t interested in placing the franchise tag on offensive lineman Rodger Saffold. So it was no surprise when that turned out to be the case Monday, the deadline for using the franchise tag in the National Football League. The franchise tag number for offensive linemen in 2014 is $11.65 million, a figure too high in the Rams’ estimation to use on Saffold. As a result of not using the tag on Saffold, he is free to sign with other teams as of March 11. He can negotiate with other teams as early as Saturday because of the three-day contact period, which came into effect last season. 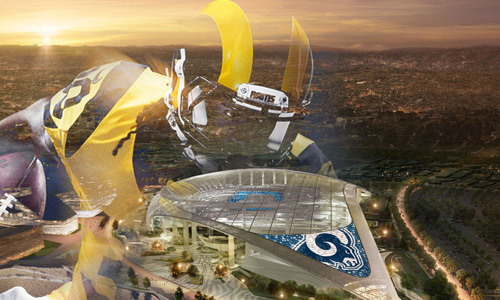 The Rams have exclusive negotiating rights until Saturday. The Rams met with Saffold’s representatives at the NFL scouting combine, but no contract offer was made at that time and a deal does not appear imminent. However, that can change with one phone call. Saffold is expected to make a decision quickly — perhaps as early as March 11, the first day of free agency . Other notable Rams scheduled for unrestricted free agency are quarterback Kellen Clemens, linebacker Jo-Lonn Dunbar, safety Darian Stewart and offensive guard Chris Williams. Franchise players • PK Nick Folk, New York Jets; TE Jimmy Graham, New Orleans; DE Greg Hardy, Carolina; LB Brian Orakpo, Washington. Transition players • C Alex Mack, Cleveland; LB Jason Worilds, Pittsburgh. Franchise players earn the average of the of the top five players at their position. Transition players get the average of the top 10 players at their position. The transition tag is rarely used, in part because teams get no draft-pick compensation, only get matching rights. In the case of the franchise tag, teams get two first-round draft picks if a player signs elsewhere under the non-exclusive franchise tag. The exclusive franchise tag, which is more expensive, prevents a player from going anywhere. All four players tagged this year were given the non-exclusive franchise tag.